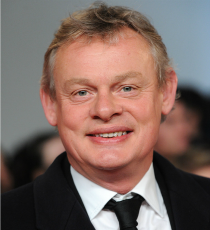 Martin Clunes is an instantly recognisable actor, best known for his iconic role in ITV series Doc Martin. Other credits include television programmes British Men Behaving Badly and Vanity Fair, and films Shakespeare in Love and Saving Grace. Martin also features on a number of documentaries, such as Man & Beast with Martin Clunes.